We leave no stone unturned when it comes to the depth and scope of our service offerings. We pride ourselves on working closely with our customers to provide safe technical and operational solutions that make a difference to the smooth running of industrial, commercial and corporate facilities nationwide. 24/7 support features, and industrial and commercial site maintenance and engineering. Operating 24/7 from our regional bases in Auckland, Tauranga and Whakatane, the ElectriServ service team provides maintenance services to a large cross section of major industries in multiple locations. We’ve established a national service network of highly experienced ElectriServ staff and subcontractors with a diverse skill set, including familiarity with traditional and new technology, available to respond 24 / 7 using rostered on-call staff available for after hours emergency work. We’re trusted to undertake regular maintenance work, routine testing and inspection regimes for customers throughout New Zealand. Maintenance is carried out by skilled personnel, using specialised machinery and equipment purchased specifically for the task. Uninterruptible power systems (UPS) testing, inspection and reports. Our qualified and licensed technical and trade specialists provide system and equipment testing and certification across all of our trade disciplines. Gas and solar hot water systems. Multi-level commercial office buildings, industrial and infrastructure outfits, education and health care sector facilities demand varied and unique electrical and wiring requirements. When you’re dealing with electrical, data, audio visual and security services, power and lighting, air conditioning or refrigeration systems – it’s crucial to get it right from the start. ElectriServ has a reputation for undertaking large, detailed installations with teams known for their ability to tackle the more unusual or difficult installation needs of particular industries. Our highly skilled trade staff have extensive knowledge in industrial installation requirements and are fully aware of site electrical and safety standards. We are experts in maintaining a wide range of diverse facilities in a variety of industrial and commercial sectors. Our electrical and facilities maintenance contracts cover multiple sites and trades. We provide FM services to a number of national clients from the East to West coast of the North Island through Taupo, and North to Kaitaia. Our work includes building and grounds maintenance, building fire-fighting equipment compliance, air conditioning, electrical, DC Rectification, generators and computer suite security. ElectriServ holds UPS and standby generation maintenance contracts in major centres, from Auckland to Christchurch. ElectriServ is involved in the ongoing maintenance planning of some of New Zealand’s major industries. We provide full time maintenance coverage and general maintenance support ranging from the stringent hygiene control of food to timber, plastic, chemical and steel plants. Maintenance sites are set up on an individual basis. We work with you on every aspect of your maintenance programme to carefully coordinate costs and methodology. Our staff become closely aligned with plants and in many cases become part of the maintenance planning team. We also provide back-up help for smaller manufacturing companies who employ full time maintenance electricians, providing support when staff take leave or are over committed. We pride ourselves on the outstanding work we do, below are some of the key data and communication services we offer. Internet Connectivity - assisting with connecting your business / home to your internet provider. We can design a basic passive infrared (PIR) detector system to a more complex access control or CCTV system, complete with remote viewing and reporting using smart technology. CCTV coupled with smartphone technology allows you to monitor your premises remotely via your smart device. Access Control – keyless entry with ease of control to allow entry and monitoring of multiple users. Smart Automation – smart and efficient control of your devices in your home or business. Our core team of industrial trade staff can be supplemented by extra staff from our trusted network of pre-qualified sub contractors, when required, to allow us to take on major project works. Staff are waged employees and are engaged in work primarily located in the North Island. We’re continually reviewing and renewing our specialised equipment and machinery. We operate a policy of constant check ups to ensure the highest quality equipment is used by staff in the field. Our engineers work closely with you to identify operational challenges and design functional solutions to overcome safety, power and control issues in conjunction with production staff. When presented with complex issues, our staff are fully supported by our in-house CAD draughting and plotting facilities. This enables the prompt preparation of high standard project documentation. Cell phone site maintenance and installation work in conjunction with Skycomms Ltd.
Our estimating team offers a complete range of support in costing for capital expenditure or tendering. We produce consistent and competitive pricing, with the ability to produce material and labour reports that flow through to contract management staff, formulating material purchasing and labour scheduling for secured works. In addition to industrial electrical engineering and commercial electrical work, ElectriServ is the electrician company to call if you have a specific, out-of-the-ordinary electrical issue that needs resolved. From thermography surveys to safe handling in explosive or hazardous areas to testing, tagging and electronic equipment maintenance, ElectriServ does it all. Thermography is the use of a special thermal imaging camera to detect localised variances in temperature caused by electrical or mechanical overloads and fault conditions. A thermographic survey may detect any overload or fault condition before costly systems failures occur. After completion of a thermographic survey, ElectriServ prepares a comprehensive written report for you, detailing any issues found and the recommended remedial action. A hazardous area is one in which an explosive atmosphere is or may be expected to be present, in quantities such as to require special precautions for the construction, installation and maintenance of electrical equipment. ElectriServ are specialists in electrical system design, installation and maintenance in hazardous areas. 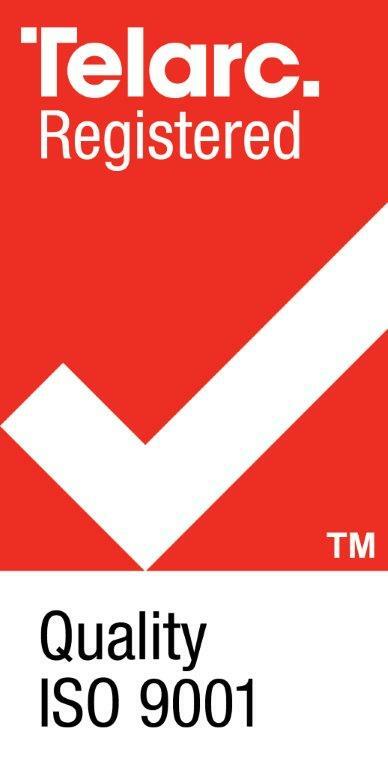 As registered electricians, ElectriServ are industry recognised Independant Qualified Persons (IQP) - able to carry out the testing and tagging of your electrical equipment in accordance with the requirements of AS/NZS 3760: 2010. ElectriServ also repair any faults revealed during the testing process. ElectriServ have vast experience in designing, manufacturing and installing site and process specific switch boards, motor control centres and process control centres. ElectriServ are registered Independent Qualified Persons (IQP) able to certify your emergency lighting systems. Certification proves that your establishment has well maintained building systems in place that are operating in accordance with the required standards and codes. ElectriServ are registered Independent Qualified Persons (IQP) able to certify your automatic door systems. Certification proves that your establishment has well maintained building systems in place that are operating in accordance with the required standards and codes. It is great to feel relaxed about having the right the contractor doing the work which assists me concentrating on other areas. The professionalism and diligence displayed was fantastic not only from a H&S perspective but from a personal level. Well done to all and keep up the great work. Your company is a regular service provider for ASB Group - Property and we wish to acknowledge the important contribution you and your team make to our business. The quality of service provided by your team not only reflects directly upon your company, but also on ASB Group - Property in regard to how we are perceived by our internals clients.